For many years now I have interviewed individuals who have experienced something sublime. Included are people from all walks of life—mothers, fathers, siblings, grandparents, relatives and friends, who have mysteriously experienced contact with children before they were born . . . or even conceived. I have chosen to call these preborn children “morning stars,” based on a biblical reference. Just as the world has “movie stars” and “sports stars,” the Bible has its “stars.” Job was asked by God: “Where wast thou when I laid the foundations of the earth? …When the MORNING STARS sang together and all the sons of God shouted for joy?” (Job 38:4, 7, emphasis added.) This reference implies that while the earth’s foundations were being created, before anyone had been born or placed here, souls known as “morning stars,” sons (and daughters) of God, sang and shouted for joy. Who were these souls? “Morning” implies early or rising. “Star” has double meanings: a cosmic entity that gives light; a person who is special or outstanding. Could the “morning stars” have been the early, rising spirit children of God, beings of light who were “joyous” about living on this earth once it was created? Is this our true heritage? If so, before birth we were all “stars!” And Jesus, being the firstborn and the brightest, was the “Bright (supreme) Morning Star”—“I Jesus . . . am the root . . . and the BRIGHT AND MORNING STAR.” (Revelation 22:16 emphasis added) As to the singing and shouting for joy, can you imagine the grandeur of witnessing an earth in creation? Who would not burst into song? The Job account is not the only Biblical suggestion of existence prior to conception. Jeremiah was told: “Before I formed thee in the belly I knew thee; and before thou camest forth out of the womb I sanctified thee, and I ordained thee a prophet unto the nations.” (Jeremiah 1:5) Jeremiah was not only known before entering the womb, he was known so well as to be entrusted with an earth mission before he was even born. Could that be a pattern for all of us—receiving personal missions before our birth? Is there outside evidence to support Biblical implications that unborn souls exist before conception? I believe there is. 3. with a unique purpose or mission. So, the idea that we come from a previous existence where we lived as spirit beings or souls is not new, but the evidence presented herein is. And it provides a deeper understanding of our origin, purpose and relationships on earth. Our research suggests that prebirth encounters are more widespread than one might think. They can occur so simply as to go unrecognized. If you have dreamed about, sensed the presence of, heard or seen a child, grandchild, brother or sister before that person’s conception or birth, you may have had a prebirth encounter, a PBE. As for the preborn announcing their time to be born on earth, the event is so common in some cultures that it is labeled “the announcing dream”. 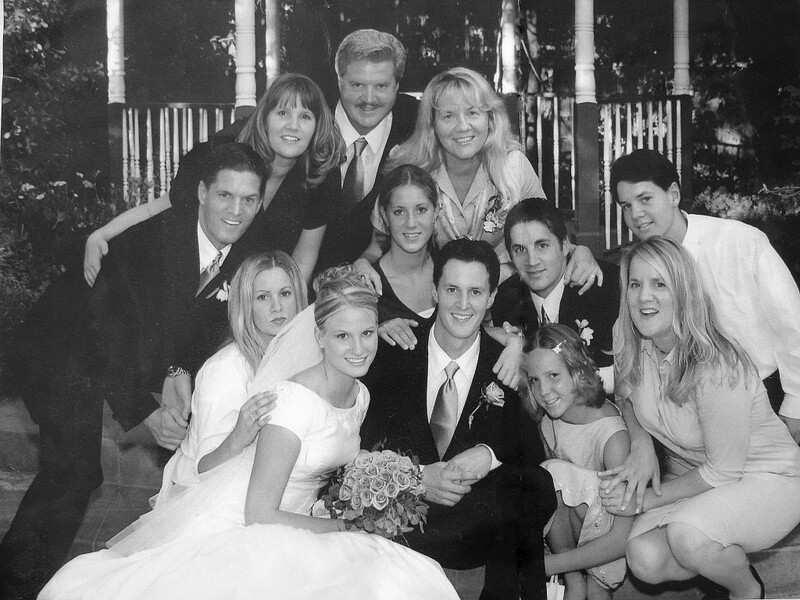 Here is a photo of my family at Tadd and Heather’s wedding in 2002. I marvel every time I see a photo of these guys. Each child is unique and special in their own way. As a family we strive to work together, to forgive, to love, that our relationships may be eternal. I know that we lived as spirit beings in the presence of God before we came into this world.